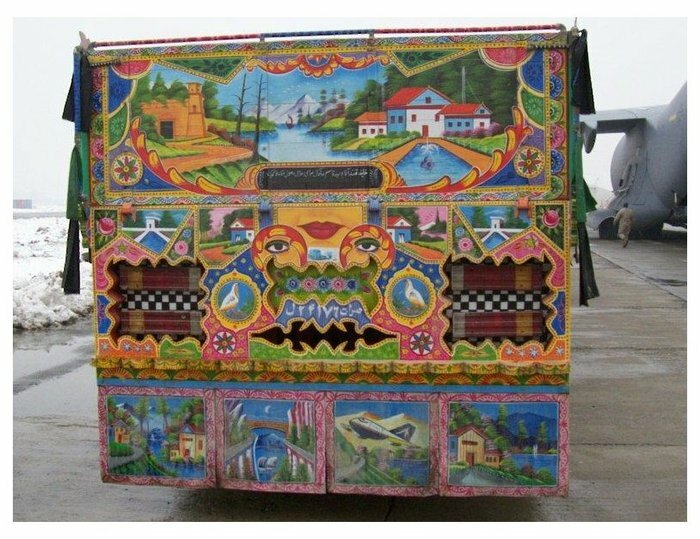 Jingle trucks are by far the most colorful things in Afghanistan. They are brightly painted, with chimes hanging off the front bumper (thus the name), and many are adorned with colorful tassels. These trucks are everywhere, almost as common as cars. 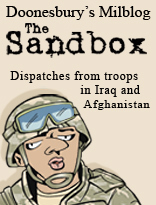 One of my early posts on The Sandbox was about JINGLE TRUCKS, and I am known around here as a big jingle truck fan. I am always snapping photos of them when we are out driving, and as I near the end of this deployment I thought I'd share some of the better shots from my collection. Enjoy. And finally, the Jingle Toy Truck, which will be proudly displayed in my office once I get home. I want one of those Jingle Toy Trucks. Maybe you could start an import business; we're probably not the only "kids" that would want one. 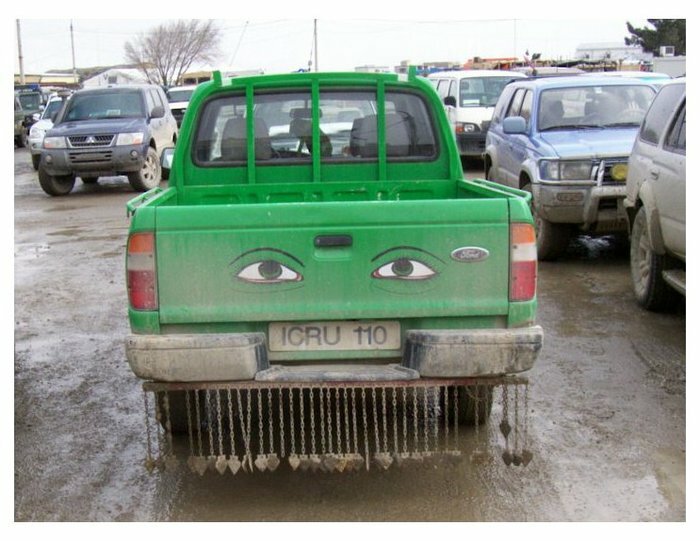 The eyes seem to be a common theme on these trucks. Do the painings tell a story or are the fantasy of the driver/owner? Thanks for sharing these very cool photos. Glad you'll have something bright to bring home with you. 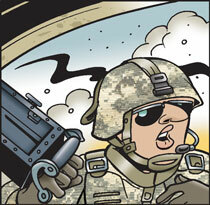 Wishing you a safe journey home - thanks, so very much, for your service! They have these in Turkey, too, although they're not generally quite as spectacular. The eyes are (I'm told) a charm against the ill wishes of envious people --- i.e., those who don't have such a cool truck. They always remind me of the eyes on ancient Greek ships that you see painted on vases and so on. Gotta import those toy jingle trucks! I'll sign up for several. They're wonderful. What's behind the jingles and the designs? Is it a way to bring fun and color or is like Americans who do all kinds of weird things to their special cars as a competition of who has the coolest? 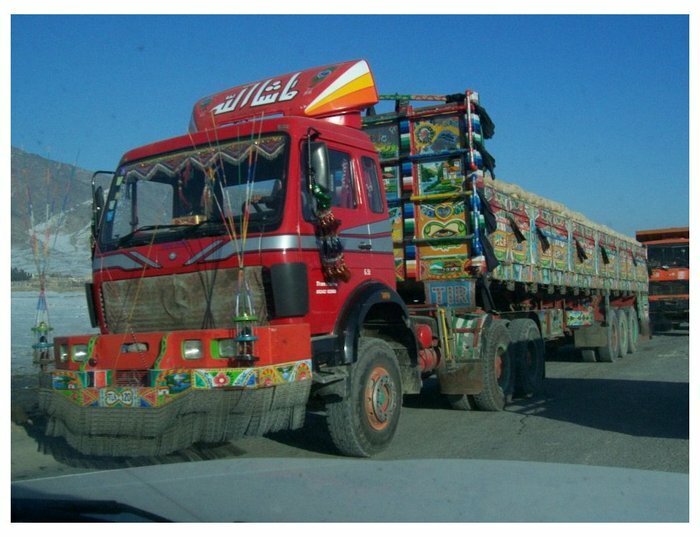 Jingle trucks may yet turn out to be the best Afghan export. Afghans adorn their buses as well in a similar fashion. I have loved them since I first saw them in the pages of the National Geographic, though haven't seen one in real life. They are like moving pictures across the wide Afghan landscape, each carrying many stories. Thanks for the pics. Including that of the rundown trailer, they all looked lovely. Thanks for the pics of jingle trucks. 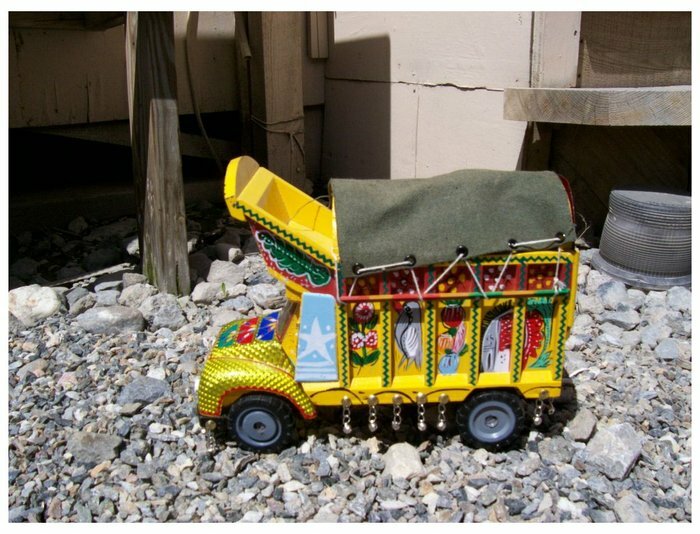 My daughter-in-law (stationed in Kabul) sent a toy jingle truck home for Christmas for my grandson. It was great to see the real ones. Now I understand the toy better. Thanks for those pictures; you almost made a fan out of me. 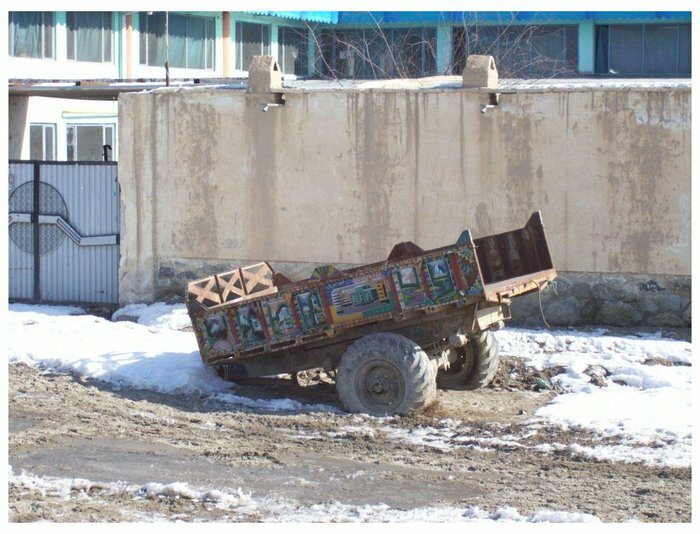 It almost looks like the Afghan’s way to “pimp their ride”. Here in Los Angeles, CA there is a show called Pimp My Ride, and you take old beat up cars, do a crazy paint job and make it as fashionably ugly as possible. 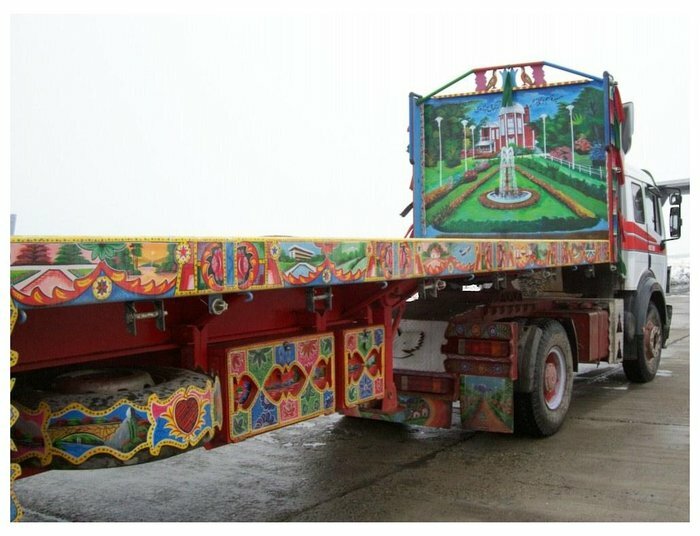 There should be competitions held for the craziest and most colorful jingle trucks (if they don’t have one) which will cause the bar of the jingle trucks to rise, and who knows what else they can add to it. I like how each truck has pictures that (I assume) resemble stories, kind of like the hieroglyphics on wheels. Although it’s nice for that setting and that country, I don’t think if you bring that back here people would be accepting of it. I found this site in my English class and I’m going to add it to my favorites, so keep posting, be safe, and God bless you out there. Those are awesome pictures of the Jingle Trucks. I hope you make it home safely and thanks for sharing. Thanks for those pics. The last time I saw , or heard Jingle Trucks was seeing hte English(/German?) TV miniseries "Traffik", back in the mid-80s. Great pics. I agree with the others, someone's gotta import those TV Jingle Trucks, they'd possibly go down well in the Pakistani/Afghani immigrant communities. Great pictures. 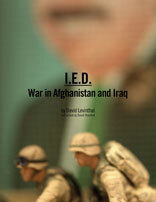 My son took one and sent me as he's currently serving in Afghanistan. I'm just now seeing they sell the toys and I've just asked him if I could get one for a little nephew. I hadn't known of the toy versions so THANKS! Highly get pleasure from your articles, my great fortune to explore your weblog. I think my dad needs some new toy trucks for Christmas this year. He's been collecting since i was a kid. You know how hard it is not playing with your dad's truck collection? Well, i understand it now. Those suckers are worth a fortune. Wow..What A romantic truck. It is too colorful and so beautiful. I am getting married next month and my dream is I will make my complete honeymoon in such a beautiful truck. 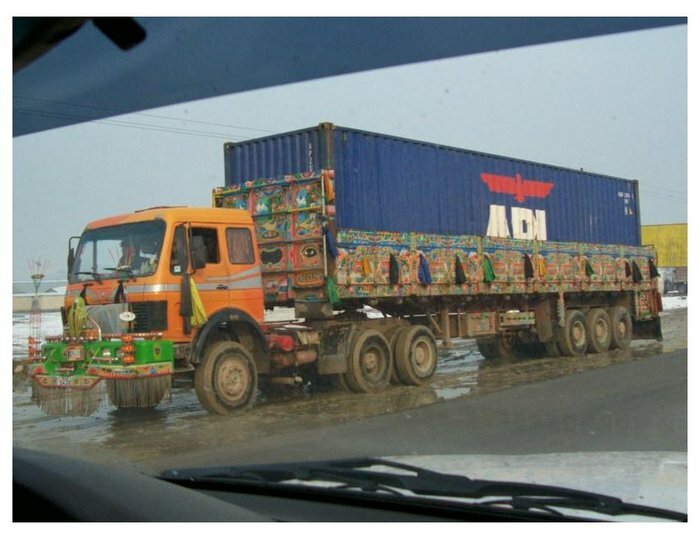 Nice picture of trucks. Its look very beautiful. Thanks for the pics posted above. That reminded of my last experience with truck. It was when i shifted my house from london last time. The moving company provided and efficient service which made my work so easy. Giving it a little twist can look better and can prevent stress. Wow, those are some crazy looking trucks. Very interesting indeed. 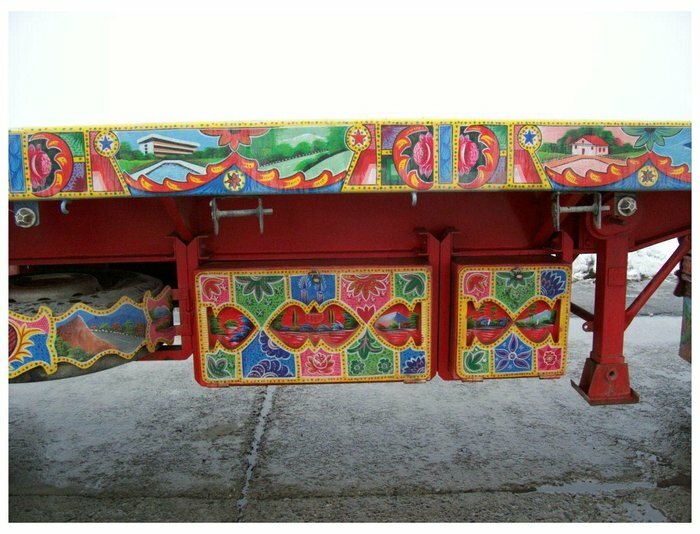 I never thought that Afghanistan has a colorful culture like this with their trucks. I like your toy truck display. Very lovely! I want to have one. 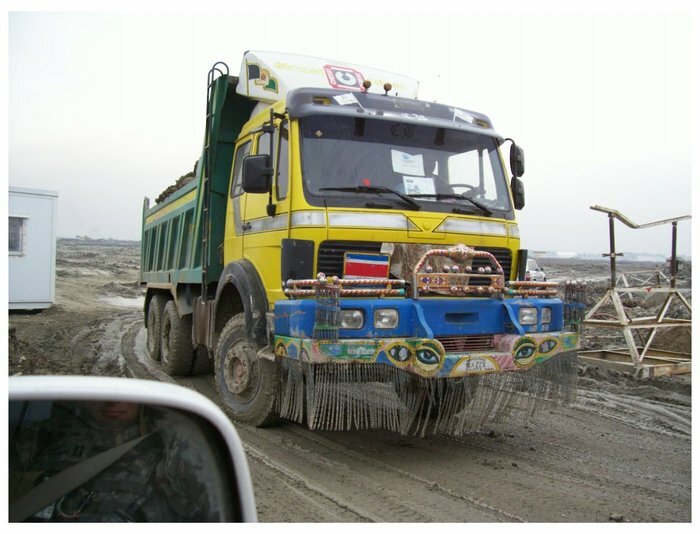 The trucks are looking good.But it is funny picture. Well, at least one can still see color in a place where lives are just uncertain. Thanks to JINGLE trucks!